Plane crashes, bigamy, and global law firms – enjoy. A red herring is a literary device where the author of work inserts a clue that misleads the reader into thinking one thing, when the truth lies elsewhere. Frequently deployed in mysteries, where the author makes you think one person is guilty of a murder, when really it’s someone else. Alfred Hitchcock was famous for using the technique in his movies. Red herrings are also yummy little fish frequently found at the kiddush table after attending synagogue on the sabbath, but I digress. In genealogy, sometimes you spend a lot of time researching a lead that is not actually a lead at all. I sometimes think that when you have a very unique surname that you’re researching, you’re more prone to being fooled by a red herring, because you think there’s less chance of the name being from a different family. 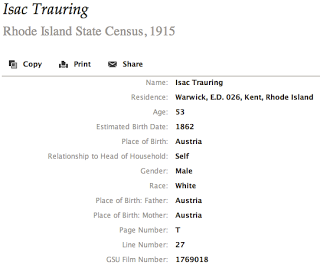 My own surname, Trauring, is fairly rare. In general, I’ve always been able to connect Traurings to my own family, although there are some exceptions. What I’ve found is that many times when I find the name Trauring, it’s not actually Trauring – that’s where the red herring come in. Certainly a plane crash in an exotic location where a family that shares your rare surname is something that draws your attention. I spent some time trying to figure out who these people were, and how they were connected to my family. Something seemed wrong, however, right from the beginning. 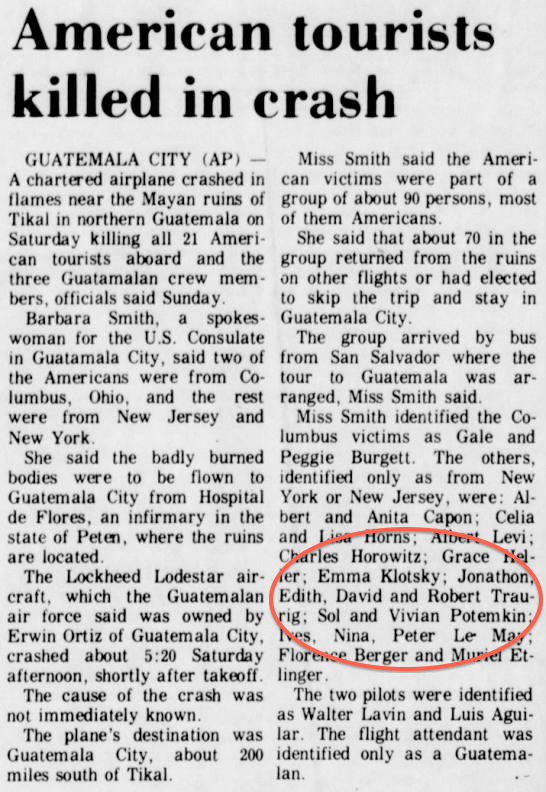 How was it that I had never heard of a family that lived not that far from mine (I grew up in Massachusetts, this family lived in New Jersey), with the same last name, who died in a plane crash during my lifetime? That issue nagged at me, but I continued to look. I figured they must have been from a distant branch of my family that I was in touch with, that lived mostly in the mid-west. I contacted one of those distant cousins, a fourth cousin once removed I believe, and yet they had never heard of this family either. Another clue that something was wrong was that I didn’t find any evidence of this family existing at all. I eventually gave up, filed the article into my Mysteries folder, and figured I’d work it out later. Notice the difference? In this article, published on the same day but in a different paper, the surname of this family is Traurig, not Trauring. So the surname is Traurig, right? Well, truthfully the information from this article is no more reliable than the other one so how do I know? Obviously finding evidence of the existence of this family as Traurig would be helpful in closing the book on this red herring. Jonathon Trauring, 74 Skyes Avenue, Livingston, NJ; Edith Trauring, same address; David Trauring, a child of the same address; Robert Trauring, a child of the same address. Clearly according to this article the family is Jonathan and Edith the parents, with David and Robert their children. It doesn’t explicitly state who the children are, but the normal assumption would be that the first two listed are the parents and the last two are children. 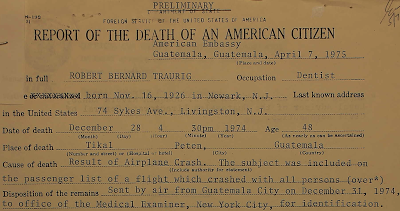 This file represents a certification of the details of a citizen’s death, including documents signed by the US Consul in Guatemala and records from the medical examiner in NY that verified the identity of the body. 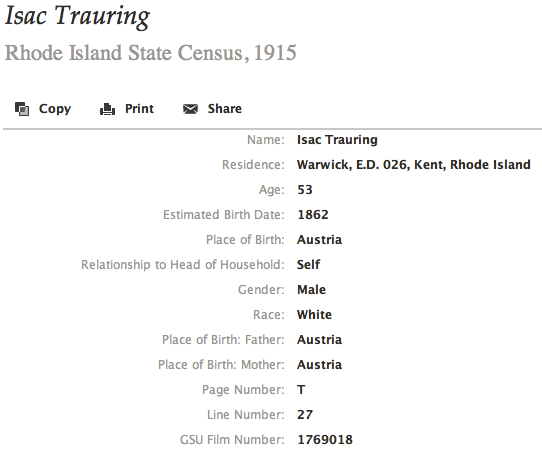 As far as I’m concerned, we can safely say this family’s surname was Traurig, not Trauring. Case closed. 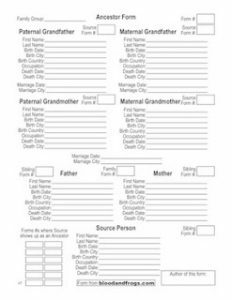 Just so you know, with the information in these reports (which includes the names of the parents of Robert and Edith and their addresses at the time), it’s possible to trace the family back quite a bit. Robert and his parents show up in the 1930 and 1940 censuses. Robert’s father came from Austria, likely Galicia (likely because in one census Austria is crossed out and Poland is written in – and the region of Austria that became part of Poland after WWI was the Galicia region). 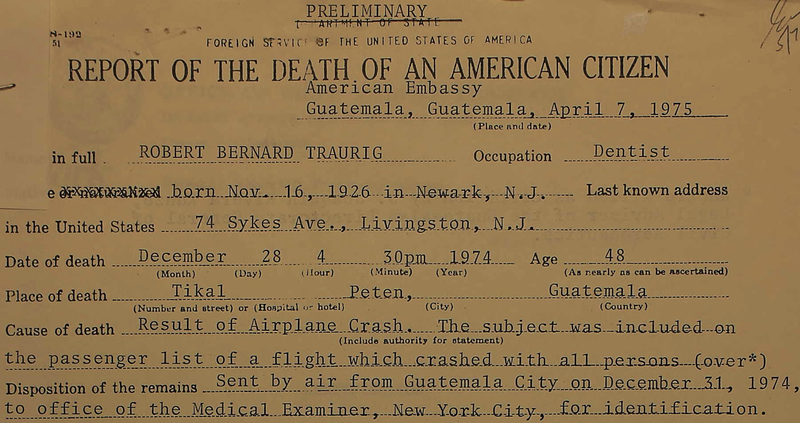 With a little more digging, such as getting a copy of his naturalization papers, we could probably track this family back to the town they came from in Austria/Poland. One other thing worth noting. Both articles use the unusual spelling Jonathon. The report of death for him spells the name Jonathan. Which is correct? I don’t know, but you’d think the State Department document would have double-checked the name, so possibly both newspaper articles misspelled this given name, but only one misspelled the surname? Pushing that point further, the name given for the father in the original article – Jonathon Trauring – was completely wrong (not the father, spelling of the given name wrong, spelling of the surname wrong). Wonder why I couldn’t find this family originally? Did my gg-grandfather have two wives? Ever run into a piece of information on your family that you wish you had not? This is the story of finding one such piece of information, but luckily finding out it was a red herring. At the time I originally viewed the record, there was no image available to double check (see the image above for what I saw then, click on the link in the caption to see what it looks like now). The record did show the name of his wife, however, which was Marie. Now, my gg-grandmother’s name was Esther, not Marie, so obviously this was a different person, right? Except my Isaac Trauring was born in 1862 in Austria – and sure enough so was this Isac Trauring. Seemed a bit too much coincidence. A rare name like Trauring. First name Isaac. Born in Austria. In 1862. I mean, come on, obviously the same person right? My gg-grandfather had lived in the US from the late 19th century up until about 1913 when he returned to Europe just in time for WWI (lucky him). That was another red flag. I had documentation of him in Vienna in 1914, and plenty of documentation of him living in Antwerp in the late 1920s and early 1930s, but the problem was I couldn’t prove he had not returned to the US in 1915. Indeed, I didn’t have much evidence at all from that document from 1914 until after my gg-grandmother died in 1925. So was my gg-grandfather married to two women? The index was transcribed incorrectly. The name is clearly Traurig, not Trauring. Case closed. Still, it’s worth considering for a moment that this typo (from less common name to more rare name) was made for a person what matched every other metric exactly – same first name, same birth country, same birth year. Too many coincidences? Apparently not. The reason the patent showed up when I searched for ‘Trauring’ was because the name of the law firm was misspelled in the patent! 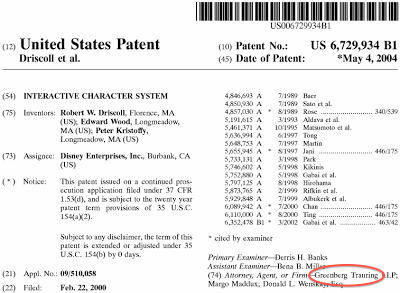 Considering the law firm itself filed the patent, that’s particularly odd. Where this mistake originated, I certainly don’t know. Maybe the USPTO made a mistake somewhere, or maybe someone who worked at Greenberg Traurig just made a typo, but why Trauring of all things? Is that a natural mistake when typing Traurig? Note the title of the web page – Greenberg Trauring! 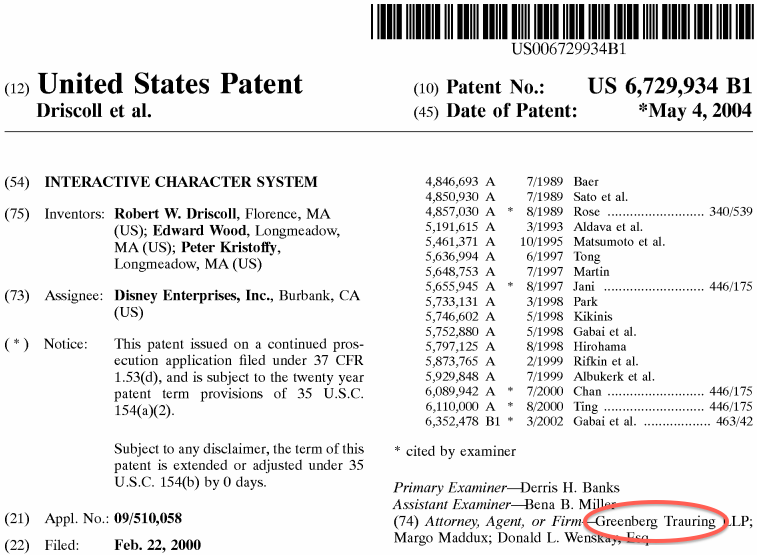 Maybe the same employee who typed up that patent also worked on that web page? Luckily, I’m familiar with the law firm and knew the name was Traurig. If the typo had been on the inventors name, and I had spent hours trying to track down a person that didn’t exist, that would not have been fun. The point here is that even documents prepared by global law firms can have typos that can lead you astray. Indeed all of these mistakes could originate simply as typos. 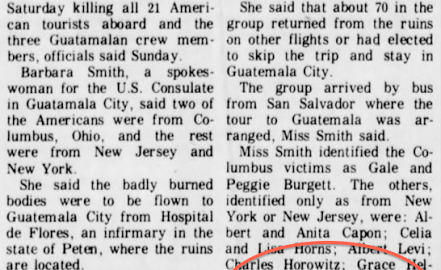 The misspelled name in he news story could have been a typo, or perhaps a misheard spelling on an international phone call between Guatemala and a news bureau in the United States. The census record could have been a transcription mistake, or a typo. The Greenberg Traurig mistakes are almost certainly typos. So next time you come across a name of a possible relative, and your gut tells you there is something wrong, trust your gut and make sure you’re not following a red herring. When your gut tells you there is something wrong with the lead you’re following, listen to your gut. Always search for all members of a family, not just the adults (or who you think are the adults). Just because an index says a name is correct, don’t assume it is correct. Always check the original document. Never settle for one record to provide you with information you’re seeking – always look for corroboration from multiple additional sources (and different types of sources). Red herring should be eaten, not followed. Interesting article and good lessons to know. I worry about those names that are missed because of a typo and, although I don’t want to use a soundex search, they are definitely necessary. 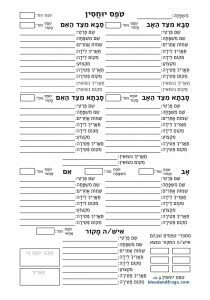 I’ve been following your blog because I’ve started getting serious about my husband’s jewish genealogy which I know nothing about. It has been quite a challenge! Thanks for the great tips. Glad you like the blog. Let me know if I can help with anything. Fascinating almost-hits! Unfortunately (or fortunately?) all of my red-herrings have turned to be true so far…! The Traurigs were great friends of my grandparents. They went on cruises together, played cards, went down the Jersey shore etc. Robert shared a dental practice with his father. He was an only child. The office was around the corner from the parents’ home in Newark (Vailsburg) and he and his dad would close the office at lunch and walk home for lunch together. After he and his family died, his father sold the office and never went back.